This report sets out the challenge for freshwater in a changing climate and provides policy guidance on how to navigate this new “waterscape”. It highlights the range of expected changes in the water cycle and the challenge of making practical, on-site adaptation decisions for water. 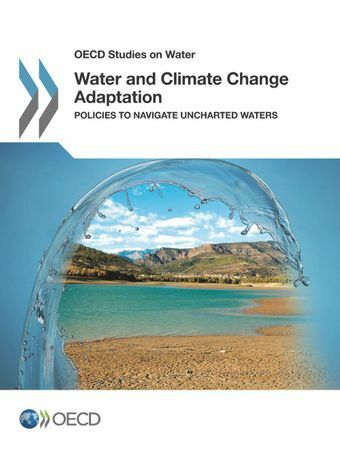 It offers policymakers a risk-based approach to better “know”, “target” and “manage” water risks and proposes policy guidelines to prioritise action and improve the efficiency, timeliness and equity of adaptation responses.The report also highlights general trends and good practices drawn from the OECD Survey of Policies on Water and Climate Change Adaptation, covering all 34 member countries and the European Commission. Individual country profiles are available, which provide a snapshot of the challenges posed by climate change for freshwater and the emerging policy responses (on-line only).Finally, the report highlights the benefits of well-designed economic instruments (e.g. insurance schemes, water trading, water pricing), ecosystem-based approaches and ‘real options’ approaches to financing. These approaches can improve the flexibility of water policy and investment, reducing the cost of adjusting to changing conditions. Full case studies submitted by member countries and international organisations for this project are presented below. Selected case studies have been included in this report.